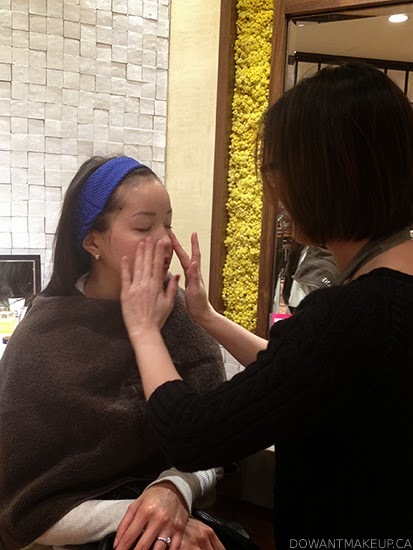 After prepping the skin, Evita applied the Immortelle Divine Extract serum and Immortelle Divine Cream to my face. 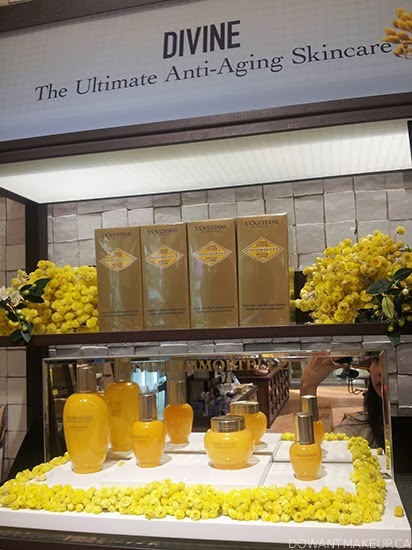 The Immortelle range is L'Occitane's top-of-the-line anti-aging collection, featuring the essential oils of the Immortelle flower, which does not fade even after picking. 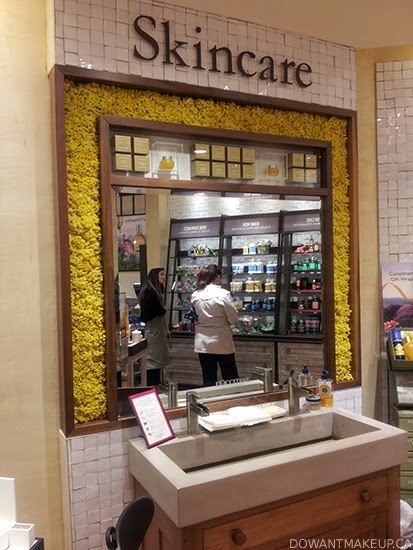 After getting such a lovely treatment of L'Occitane goodness, my skin felt happy and plump. 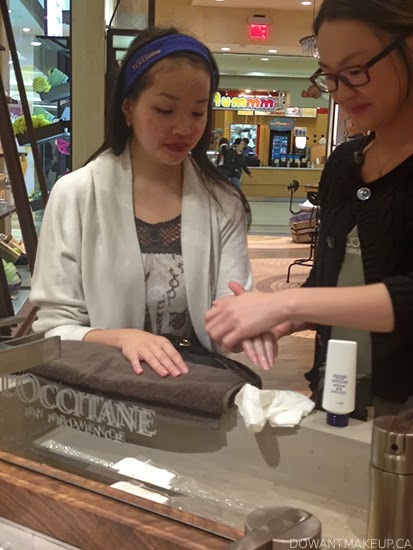 Next was a hand massage, which started with L'Occitane's One Minute Hand Scrub. Although I didn't use this sugar-based scrub for the full minute, my hands were already noticeably softer and glowing. Afterwards, she massaged in the Immortelle Brightening Hand Care lotion with SPF 20, which evens out the skin tone and protects hands from sun damage. I admit that I usually forget about protecting the skin on my hands--more hand creams should come with SPF! I was totally relaxed, with lovely, soft hands to go with my hydrated face. This is the area where guests get their mini-facials and hand massages. It's framed with tons of pretty and real yellow Immortelle flowers. Isn't it amazing? I didn't get my own photo of it, but since I love jasmine scents I couldn't resist trying the Jasmin & Bergamote eau de toilette--and promptly fell in love with the fresh floral jasmine scent. 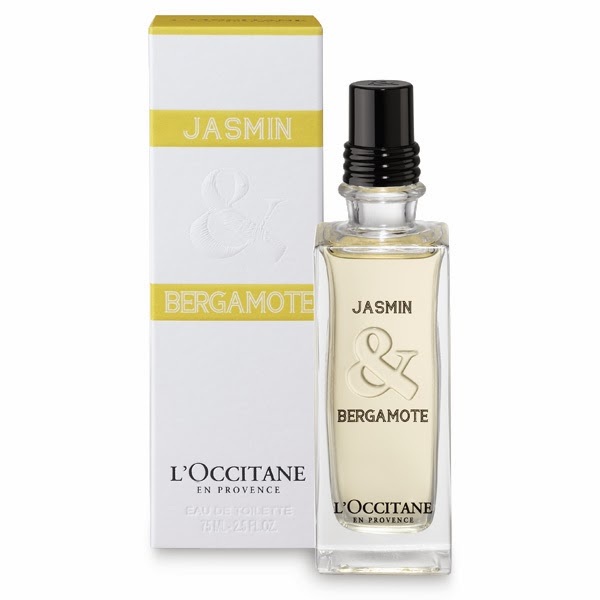 I'm not very good at describing fragrances, so I'm just going to say it smells awesome and has great lasting power on my skin. I might be back to pick it up for myself once I finish one of my current fragrances. Evita and Rita also included a sample vial of Vanille & Narcisse in my bag, but personally I'm just not a fan of spicy scents like this. Plus after a few hours on my skin, it started smelling like the Chinese herbal oil my mom used to rub on me when I had a stomachache, haha. Although it wasn't in store when I visited, the holiday collection is now available! 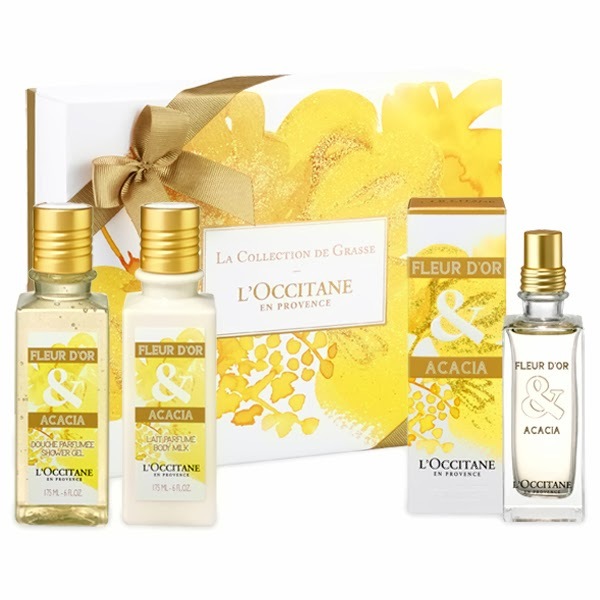 L'Occitane's perfumer created two scents inspired by Christmas in her hometown of Grasse, France: Fleur D'Or & Acacia (women) is a musky floral scent featuring mimosa and acacia, and Cèdre & Oranger (men) is a woody citrus with Virginian cedar and Italian orange. Fleur D'Or & Acacia sounds lovely so I'll be visiting a boutique for a sample vial soon. 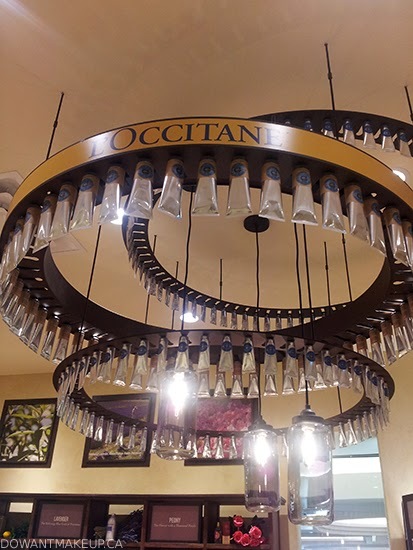 The mini-facials with cleanser, toner, and cream or lotion and hand massages are all complimentary services, so pop by your closest L'Occitane boutique and try a few products for yourself! They also have lots of samples of their products, so don't be shy about asking. I can't recommend Evita at the Oakridge Centre location enough. She was great at listening to my needs and checked in often throughout the mini-facial to make sure my face felt comfortable and wasn't showing signs of a negative reaction to the products we used. We talked about eczema woes since she has also suffered from eczema on her face as well--but you can't tell now because her skin is so smooth and gorgeous! 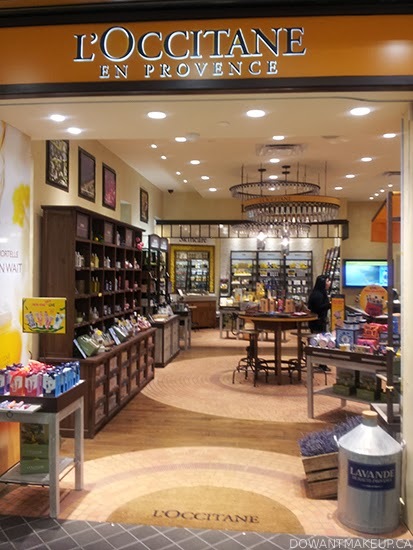 What are your favourites from L'Occitane?